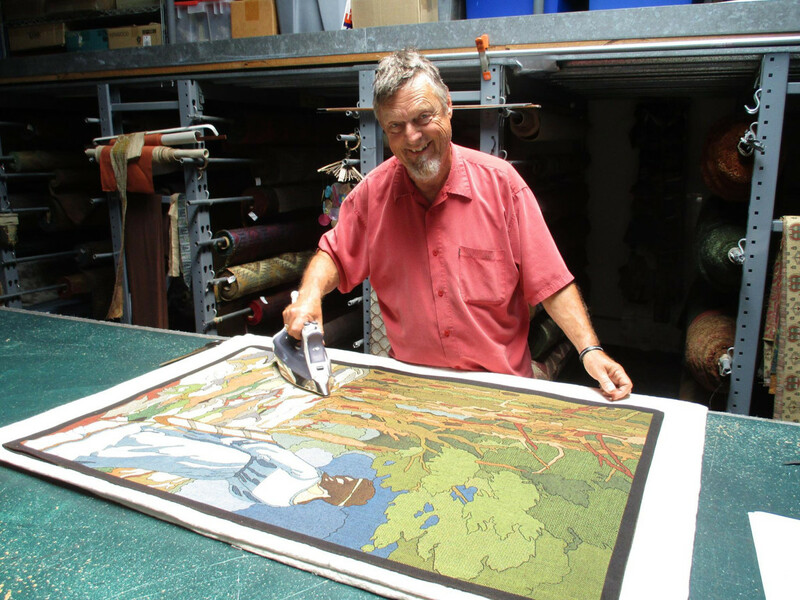 Shown with the "Forest Maiden" tapestry is Paul Freeman, founder of Archive Edition Textiles. Archive Edition specializes in light-, medium-, and heavyweight upholstery and drapery fabrics reproduced from period textiles. 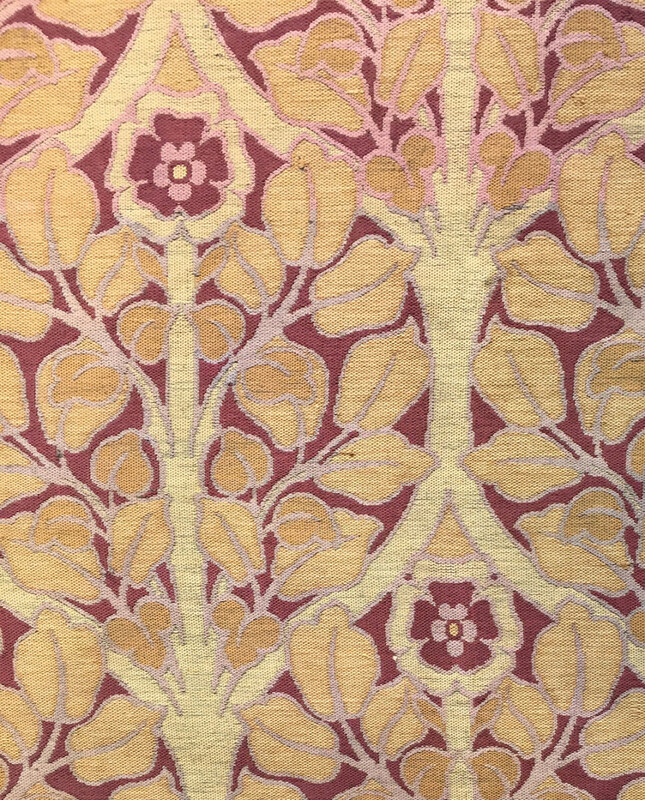 ’Celtic Knot’ is patterned after an antique fabric sample spotted at an antiques show. 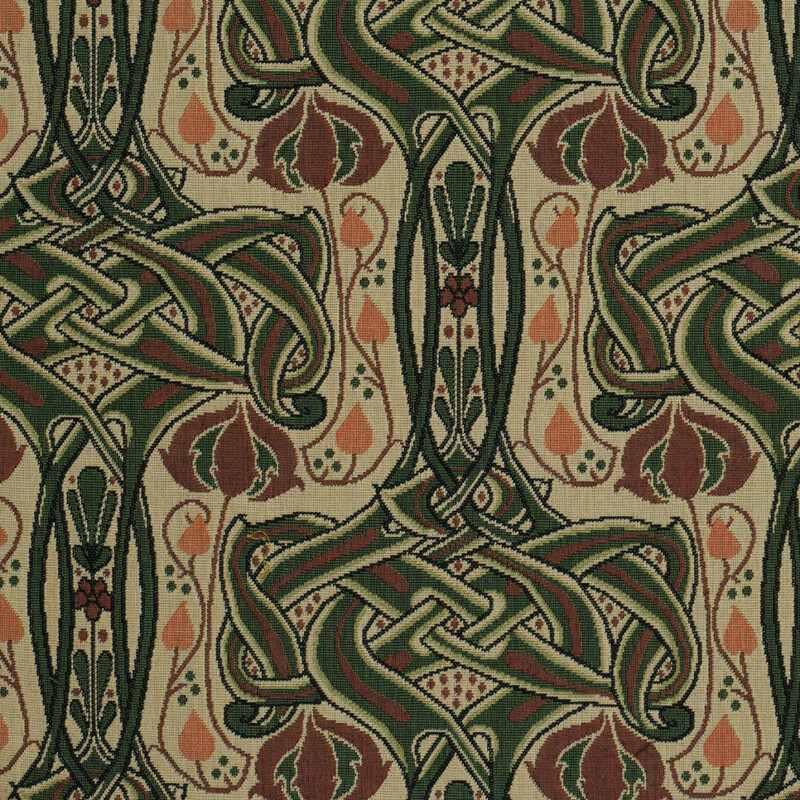 Freeman struck a deal with a now-defunct mill in Pennsylvania to produce ‘Celtic Knot’ and a handful of other patterns he had collected over the years, most of them by anonymous period designers. 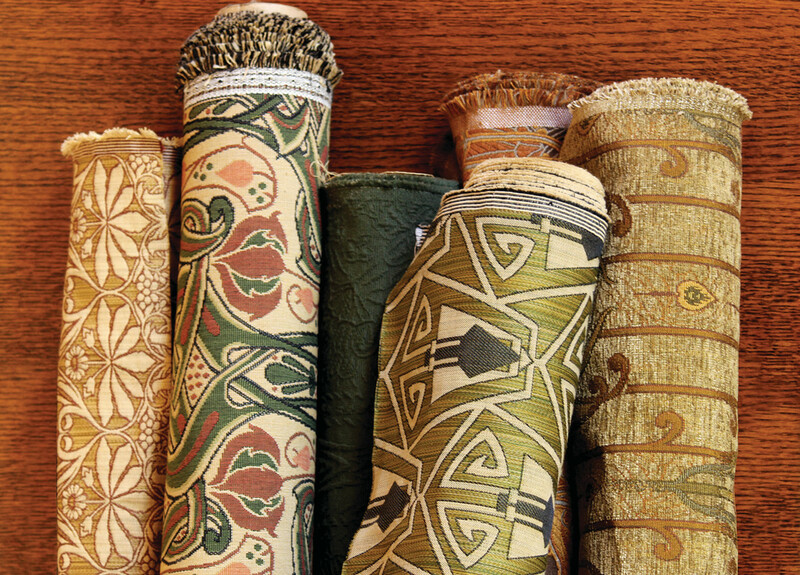 The mill owner offered to weave Freeman’s first Arts & Crafts collection in exchange for the right to produce a few other fabrics that came from Freeman’s personal archive. And Archive Edition was born. 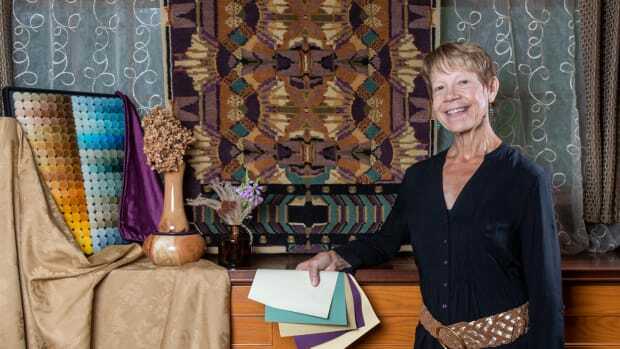 He attributes the success of the business to those years spent collecting, While other texiles collectors were buying embroidery, Freeman preferred upholstery fabrics, both hand- and machine-woven, which he pursued voraciously. A vintage jacquard-woven fabric from about 1900, soon to be in production. 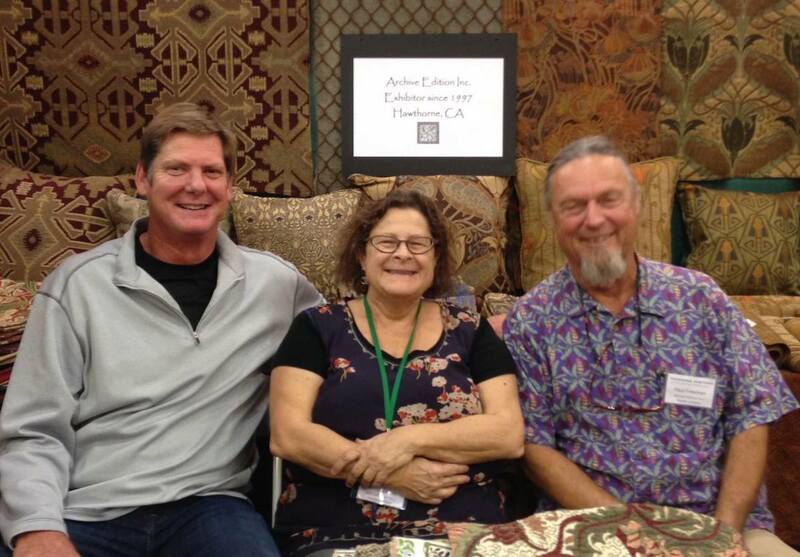 Long-time officer manager Nancy Eaton is flanked on the left by Karl Eulberg, with Paul Freeman on the right, at the 2017 Arts & Crafts Show. 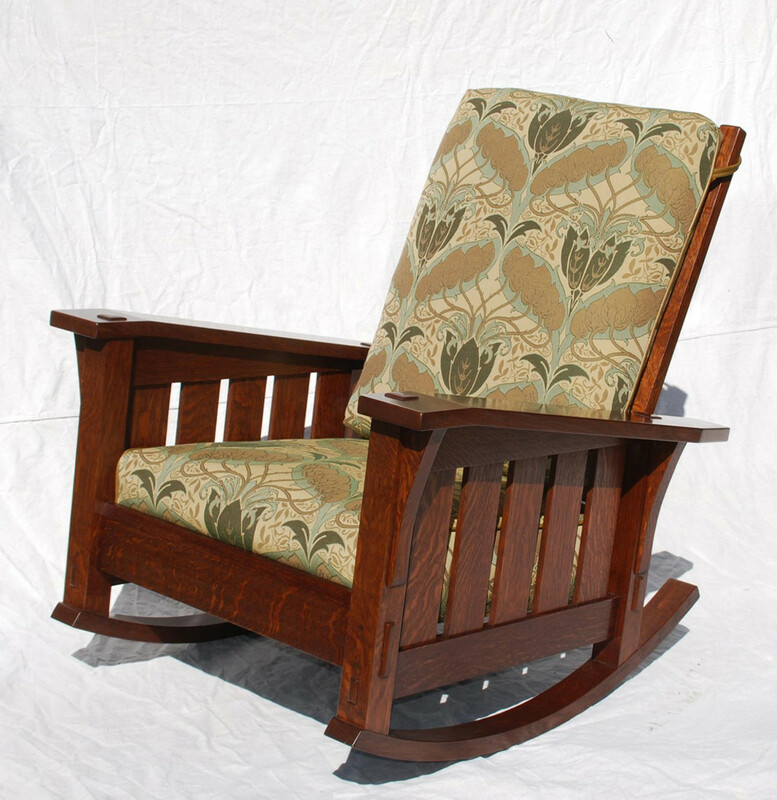 So Freeman formed a partnership with Karl Eulberg, a furniture maker adept at sales and marketing and with a love for Arts & Crafts. Karl’s sister, Krista Eulberg, helped bring the company into the 21st century with tech, before moving on about a year ago. 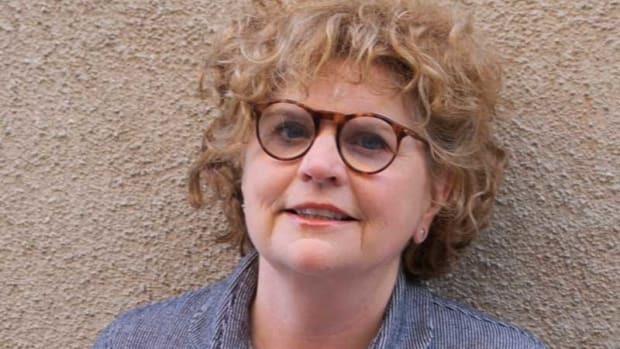 Freeman expected to sell the company to Eulberg, but he changed his mind. Intending to move to Costa Rica, he found he couldn’t give up the Venice Beach drum circle held every weekend. Mary Ann Voorhees of Voorhees Craftsman persuaded Freeman to produce the jacquard-woven double-weave damask ‘Sweet Pea’. 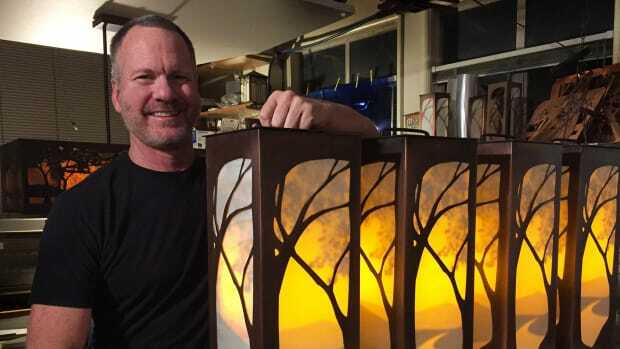 Just like in the old days, the mill hires a textile artist to draw up the design in such a way that the machinery can make it, then orders thread. Accustomed to following trends in fashion, which change every year or two, “the mills buy a ton of thread, but when it’s used up, they drop the pattern.” And even trusted mills tend to go out of business, forcing Freeman to look as far afield as Europe to produce certain designs. He may end up producing his own fabrics.